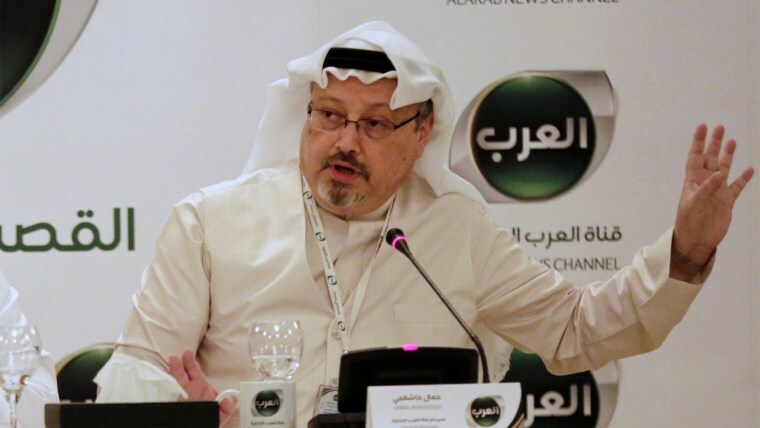 Among those banned is Saud al-Qahtani, an adviser to the Saudi crown prince who the CIA suspects organized the assassination of the journalist. The designations from the State Department follow the Kingdom of Saudi Arabia’s detention of at least 10 individuals associated with women’s rights advocates in the kingdom's biggest crackdown since Khashoggi’s death, according to Human Rights Groups. The State Department confirmed that two U.S. citizens were among those arrested. The Trump administration has faced criticism for its defense of the U.S.-Saudi relationship despite conclusions by both U.S. intelligence and the U.S. Senate that the Crown Prince known as MBS is ultimately responsible for Khashoggi’s death. Eleven of the 21 individuals originally detained by the Saudi government in Khashoggi’s death are on trial in the Kingdom. However, the trials proceed in secrecy, and the names and charges have yet to be released, according to U.N. Special Rapporteur on extrajudicial, summary or arbitrary killings, Agnes Callamard. Callamard, who leads the U.N. investigation into the murder of Khashoggi, is calling for the trials to be made public. “The publicity of hearings ensures the transparency of proceedings and thus provides an important safeguard for the interest of the individual and of society at large,” Callmard argued in late February. The findings of the U.N. investigation are to be presented in June to the U.N. Human Rights Council.